This Month’s book review comes from The Backyard Homestead, edited by Carleen Madigan. Madigan claims that you can “Produce all the food you need in just a quarter of an acre!” and although I haven’t had the opportunity to put her claim to the test quite yet, I have every intention to at least incorporate some things this summer and certainly more next year. Jumping into a new home mid-growing season has had its setbacks, but I like to think that it has simply given me more time to craft my plans and do research for my dreamy self-sufficient lifestyle—may the homesteading begin! The Backyard Homestead combines the best information from many other homesteading and food production books like: Carrots Love Tomatoes, Edible Landscaping, Home Sausage Making, and Keeping The Harvest. This is more of a “How-To” manual on homesteading that doesn’t have to be read front to back and I will certainly be coming back to this again and again. Great for newbies and a nice resource of charts and information for the seasoned homesteader. Homesteading on One-Tenth of an Acre. Although I actually have a One-Quarter Acre lot, the way the land is setup minimizes what I can plant, as quite a bit of my land is in the front yard. Looks like I’ll have to stick to the One-Tenth Acre plan. While the list of easiest crops varies from region to region, there are a few super-simple standouts. Radishes and green beans top most gardeners “no-fail” lists. Other easy crops include cucumbers, summer squash, zucchini, garlic, leaf lettuce, snap peas, Swiss chard, and kale. Getting More from the Garden. 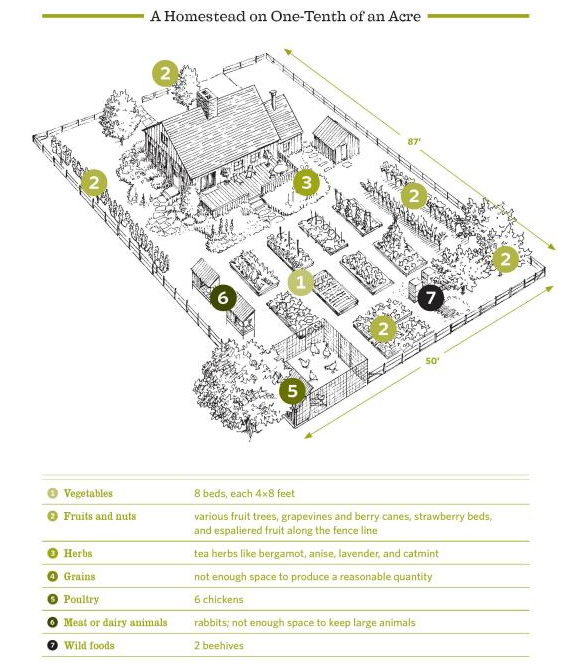 It has a garden planning chart and assists you in making a garden plan, while showing you how to begin the actual building of your garden, whether you choose raised beds or wide, deep raised-beds. Also included are successful crop-rotation practices, high-yield gardening and succession planting as well as cool and warm-season crops. Extending the season is covered with everything from row covers to cold frames and home-made versions of the French Intensive Method. Vertical gardening and seed saving are discussed and shown with charts and illustrations. Grapes. As I’ve been dying to grow grapes (and I know its possible in this region of the south because they have a yearly Grape Festival), I’m devising my plans of grandeur on how I’m going to attain the best grapes next year. Grapes have a reputation of being fragile and difficult to grow. Many northern gardeners do not even consider trying to grow them, yet some vines will flourish in regions of very state and in several Canadian Provinces. A good rule of thumb is that if wild grapes grow in your area, you can grow plump and tasty domestic grapes of some kind. Raw Milk vs. Pasteurized. I’m very interested in this movement currently, and though I’m lactose intolerant or at least intolerant to dairy in gereral, I’d be interested to see if raw milk, since it still has the enzyme lactase, is in fact easier on my digestion. I’m planning on buying some raw milk this weekend from a cow share. More on raw milk coming soon. 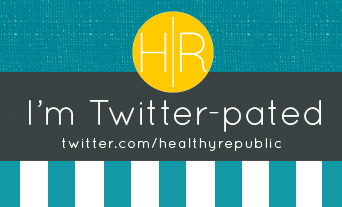 All-in-all a great resource and definitely one that I’d recommend! I haven’t read The Urban Homestead (living sustainably in the city) yet, but it’s on my To-Do List. 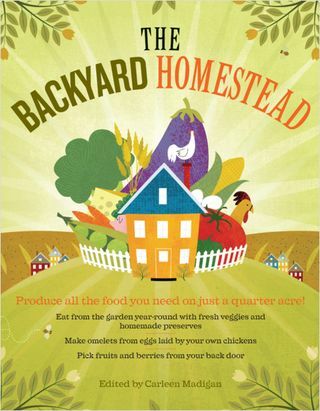 Have you read The Backyard Homestead or The Urban Homestead?